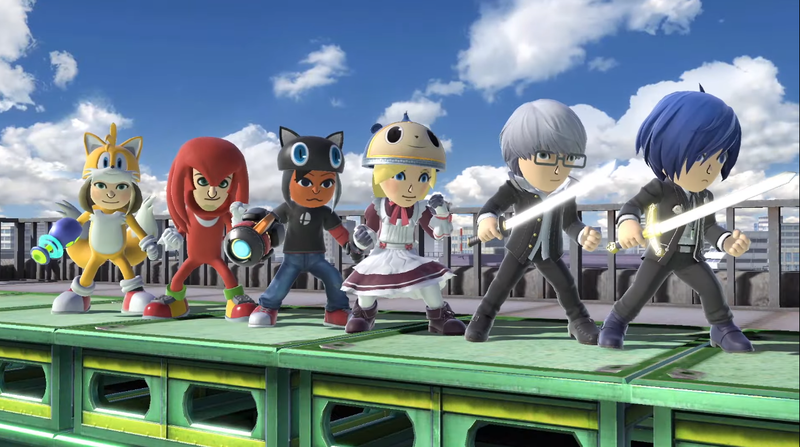 The first batch of DLC Mii Fighter Costumes are set to arrive on Wednesday, led by several from the Persona franchise. There's a lot to like about the Super Smash Bros. Ultimate line of DLC. But maybe you're not looking to invest in new characters. Maybe you just want to dress up your Mii Fighters. Fortunately, there's DLC for you, too. As part of its comprehensive Version 3.0 announcement on Tuesday, Nintendo revealed the next line of Mii Fighter costumes, which center around the Persona franchise and also include a few surprises. 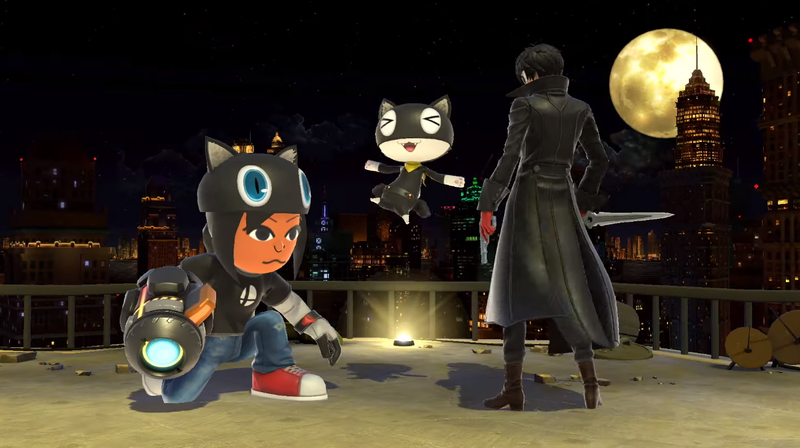 Morgana (Mii Gunner): Morgana is one of Joker's sidekicks in the Phantom Thieves of Hearts. When he's not masquerading as a black cat, Morgana can change forms into a cat-looking biped who takes part in adventures with Joker. The latter form's head will act as a hat for the Mii Gunner. Persona 4 Protagonist (Mii Swordfighter): Better known to Persona 4 fans as Yu Narukami, the Persona 4 Protagonist stands out as able to summon multiple Personas. For the purposes of the Mii Swordfighter, players will be able to deck them out with Yu's gray hair, glasses, and outfit. Teddie Hat (Mii Brawler): Teddie is a beloved member of the Persona 4 cast, whether he's a blond boy or a strange-looking teddy bear. Get a good look at his face by decking your Mii Brawler in this Teddie Hat. Persona 3 Protagonist (Mii Swordfighter): Persona 3 followers will know this character as Makoto Yuki, a strong silent type who leads the Specialized Extracurricular Execution Squad. The Mii Swordfighter takes on his blue hair and outfit. Tails (Mii Gunner): Sonic's number one sidekick is represented with a full cosplay outfit for the Mii Gunner. Players can dress their character with the Tails head, full-body outfit, and boots. Knuckles (Mii Brawler): Knuckles packs a punch and that extends to the Mii Brawler. The Brawler will wear the full-body outfit, which includes Knuckles' dreads, red skin, and boots. This is just the first round of Mii Fighter costumes, with more expected to be released with subsequent Super Smash Bros. Ultimate DLC. Those looking to pick up these outfits can purchase them for 75 cents a piece, a la carte. There's no bundle at this time. It should be noted that the Mii Fighter outfits are not included with the Fighters Pass, so if you purchased Joker and the rest of the playable DLC characters, you'll still need to pay for the Mii Fighter outfits. The Extra Mii Fighter Costumes - Round 1 will be available on Wednesday, alongside Version 3.0 and Persona 5's Joker.